ANIMAL RESCUE CONTEST IS NOW IN PROGRESS!! Get an education and help your favorite rescue win *TEN THOUSAND DOLLARS!!! It's so simple. Just purchase the Dog Trainer curriculum product below, enter the checkout code for the rescue you support and that's it!! Jeff's Program is now endorsed by the IACP! Click here to see program curriculum overview. 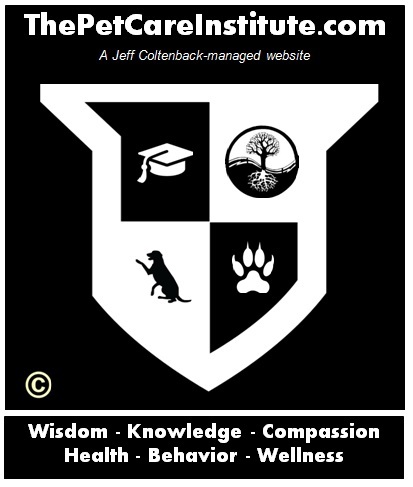 Dog Trainer Program (JCCDT – Jeff Coltenback Certified Dog Trainer): Certification not available for this option. Video location for each course is located in downloadable PDF file after checkout. Once checkout is complete, all coursework will be available to you for download. If you have any problems with content or access to video please email jcoltenback@gmail.com and Jeff will respond quickly. ***NON-REFUNDABLE PURCHASE***. You are downloading digital goods for immediate use. - Devoted Friends Animal Society, Inc.
- Friends of Brevard, Florida North Animal Care Center, Inc. This program does NOT include tests, video submissions or coaching or certification. This program does not qualify for any money back guarantee. You are purchasing and downloading at your own risk. No returns or refunds. You may wish to upgrade to certification at any time!